Below you will find a few of the companies that have benefited from our email consultancy services. Individual email marketers are not included in this list for privacy reasons. GSB The Ministry of Youth and Sports of Turkish Republic is a governmental agency within the Cabinet of Turkey in charge of regulating activities related to sports and youth development in Turkish Republic. The Ministry of Youth and Sports was re-established as an independent ministry on June 29,2011. PeakGames Peak Games is the largest and fastest-growing gaming company focused on the emerging markets of Turkey, Middle East and North Africa. With more than 25 million active players drawn from one of the world’s most dynamic gaming markets, Peak Games already ranks the 3 largest social gaming company globally. A key to Peak Games’ success is its unrivaled expertise in creating and publishing social games that fit the unique interests and cultures of emerging markets. The Company’s diverse gaming portfolio also includes mobile applications. MailPUF Ready to send professional email campaigns? Mailpuf is a simple, intelligent and easy to use email marketing tool. Create effective HTML email campaigns with our user-friendly tools.Mailpuf business is driven by eyeballs on the website – and since using Mailpuf we’ve been able to increase traffic to our website which has resulted in increased revenue. Sayyac With Sayyac you get every advanced statistics feature required to picture the visitors of your website. Conveniently arranged, numbers, percentages, stats, totals and averages. All the way up from simple counting your visitors until tracking the keywords they use to find you. MensageX The Mensagex, founded in September 2008, aims to use all his knowledge in computer science to develop a system of e-mail revolutionary and focused to the needs of our clients marketing.Its creators partners are experts in the field of computer and Internet Marketing with experience of over 10 years.The Mensagex was developed to assist people who need to engage your customers, but they need to have a system that works properly, easy to use and always worried about the trends of the market for Internet marketing. Desata Untie The Digital Marketing is a digital communication company in business since 2004 and specializes in solutions for email marketing and managing digital campaigns. The Untie has among its clients, from large retail corporations, advertising agencies, to restaurants, shops and service providers who wish to expand their business in the world wide web. SendCastle Sendcastle helps you design email newsletters, share them on social networks, integrate with services you already use, and track your results. It’s like your own personal publishing platform.Absolutely superior segmenting that help you send targeted messages. EmailSender Email Sender is a web based application. It’s an auto-responder service. It’s used to send out email campaigns to subscribers. It’s got cool email templates,campaigns tracking, web forms or opt-in forms and a host of other cool features. reliable and sustainable email marketing and best practices. MailRelay Mailrelay email marketing tool is a 100% proprietary development which gives us a clear advantage over the rest of the providers. It can be completely adapted to the the needs of each customer and be integrated with their CRMs and sites. It allow three different usage methods with each account: Through a powerful graphical tool, through a massive mailing with attached files and through standard SMTP. UltimateInsurance Since 1985,Ultimate Insurance total business focus have been helping the clients like yours implement an eAdvertising and sales system that results in massive sales revenues. Ultimate Insurancehave devoted many years of research and time in mastering a perfect, systematic approach to growing your business to increase profits and reduce costs. Ultimate Insurance provide you with an effective, cost efficient means to generate a consistent flow of new business.Ultimate Insurance goal is to increase your profits and reduce your cost. 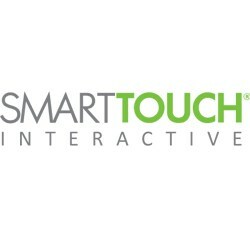 SmartTouch SmartTouch gives clients the streamlined power of an integrated sales and marketing automation solution and Lead Cultivation: a proven process we’ve developed to help clients generate, capture, score and nurture leads with “smart touches” — delivering more cost-effective, qualified leads and increasing sales. Neezz Neezz.com is a combination of online classified ads and a social network all in one! On Neezz.com, you can sell any product or service , anytime, anywhere! Sell that old pair of shoes that you no longer wear.Apart from that, Neezz’s social network features allow you to build your very own network of contacts by inviting friends that share your interests. MetropolitanIP Metropolitan IP Services aim to provide the best possible internet services and solutions at competitive prices, with unbeatable legendary customer service and support. Metropolitan IP Services will always keep the customers needs in focus and strive to enhance the customers experience, while building a solid business win/win relationship.Metropolitan IP Services operates out of over 75 data centers world wide. Our main hubs resides in the following Premium Data Centers in Los Angeles, SF and New York. ExpertSender ExpertSender email and business development staff have participated in numerous international email projects throughout the last decade.ExpertSender is highly experienced and serious about what we do and thus can offer you customer-centric and personalized services.Their proprietary email marketing system was built with years of working around lead ESPs under our belts, so ExpertSender is well aware of Your Choice, but also Their Competitiveness.In terms of our position within the industry, ExpertSender is an active member of several initiatives and organizations that define and promote the best practices in email marketing. Itineris Itineris is an multi-award-winning digital, creative and technical agency with offices in the centre of London and rural Suffolk.Itineris started life in 2001 as a creative marketing agency. However, it quickly became apparent that the traditional creative agency business model was failing to deliver some of the technical requirements demanded by clients in the digital age. Therefore, Itineris purchased a leading software development company. This enabled them to be more responsive to their customers’ needs, delivering fully integrated digital marketing solutions. MyGuestList MyGuestlist consists of a team of ex-venue owners who wanted to create an all-in-one tool for both marketing and operations in the Entertainment & Hospitality industry.With offices in multiple cities around the world, the team is focused on continuing to develop new and emerging tech trends to make MyGuestlist the world’s most advanced and popular tool for the industry. ccAdvertising ccAdvertising is a leader in the communications industry, providing artificially intelligent personalized telephone surveys to commercial, Political, Congressional and non-profit clients. ccAdvertising surveys use interactive voice response technology (no pushing buttons) to conduct political polling and public opinion polls, to collect valuable information on respondents, to educate and notify respondents regarding current and relevant issues, to generate leads (sales leads, donor and volunteer acquisition), and to communicate with large numbers of people in a meaningful way. HostZilla HostZilla is dedicated to providing world-class web hosting, specifically tailored to the needs of professional internet marketers. Conceived and created by leading internet marketers with years of online experience, HostZilla is uniquely placed to understand and cater to the specific requirements of this demanding market.HostZilla focus on managed hosting knowing that internet marketers have better things to do with their valuable time than learn to administer web servers.By providing dedicated support and fully-managed shared hosting, HostZilla takes on the technical burden, allowing each customer to concentrate on the key task – making money with their websites. TotalSend TotalSend is an easy-to-use, low cost email marketing service provider. It launched in May 2011 to provide marketers around the world with the email marketing service they need to maximise their campaigns today and to allow them to quickly adapt as email marketing evolves in the future.Email remains the most important digital channel a company has for engaging with its stakeholders. Both as a standalone activity and as part of a multi-channel communication strategy, email has the reach and level of engagement to achieve the best possible ROI for marketers.Either self-service or managed, TotalSend offers all the features marketers actually use, in a slick, easy to navigate online interface, accessible by even the most technology fearing users. TotalSend’s customers include BBC Top Gear Festival, ESET Antivirus, SACamera, Bet.co.za and Sporting Post. ImnicaMail With Imnica Mail you can manage every aspect of an email campaign, from building a list and creating personalised newsletters, to measuring campaign results and sending automated follow up emails. Nemesis Nemesis Team was founded in 2007 and is based in Ankara, Turkey. Nemesis is a global management consulting, technology services and outsourcing company, with lead companies in several sectors in Europe and Middle East. The focus is on making change happen and helping people and organizations realize their potential. Nemesis helps clients to deliver their services in different countries with “tailor made” approaches. The tailor made approaches is a must for organizations that desire sustainability. Affiliate marketing (we can get other people promoting your business). 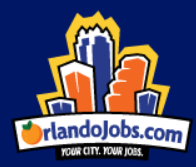 OrlandoJobs OrlandoJobs.com was modeled after a sister site GreatInsuranceJobs.com. In a very short time GreatInsuranceJobs.com became an industry leader and a tool for many of the nation’s insurance companies. All of the technology built and refined in the last twelve years will be available for candidates and clients in the Central Florida area. Datalinx Datalinx Group Technologies is an international IT consulting company that serves many customers in Europe and the world and provides them with high-quality assistance in the sphere of Information Technologies and security solutions. The company was established in the USA in 2006 and has been successfully operating since then for about 10 years in its offices in Turkey, the USA, Switzerland, Ukraine and Libya. Datalinx set its head office in Turkey in 2011.Their staff consists of more than 200 professionals with vast experience in their fields of expertise. AVS Networks AVS specialise in eCommerce and web design, and create digital solutions that are complete, and tailored to each Client’s needs. AVS have the technical experience to create suitable hosting solutions, the creative skills to design beautiful websites and the strategic thinking to build great brands and strategies. GrupoVirtual Virtual Group is a professional portal for tourism directed to independent agencies. No commitments or ties, with a minimum fee receive all existing tools on the market, which will allow you to be more competitive thanks to agreements with major retailers, airlines etc.All integrated via the Internet and supported by great technology and services company. BESI BESI study the basic business needs and try to figure out the purpose of marketing. BESI understand the importance of marketing keeping in mind the product of service offered by the client. BESI plan the marketing schedule based on maximum impact. Promotion is an integral part of business and timely promotion is the most effective way of generating business. IHOUSEU Ihouseu sells tickets on behalf of promoters and venues. Ihouseu is not the party organiser and does not set the pricing of the e-tickets.Venue management and promoters reserve the right to refuse entry without giving reason. Ihouseu Limited cannot be held responsible for refusal of entry to the venue for any reason. Ihouseu.com complies with the principles of the Data Protection Act 1998 when dealing with all data received from visitors to the site. Affnet Affnet is a full service lead generation company founded in 2004. Affnet company has evolved from a conventional affiliate marketing company into a complex platform of buyers, data managers, publishers, call centers and analytics. Affnet was established by three partners in Orange, CA and has maintained a start-up environment driven by ideas and innovation as a core focus for growth. A passion for marketing and technology makes us a leader in product launches and tools that help both advertisers and publishers run successful campaigns. MediaClicksGroup Media Clicks Group has over fifteen years of experience within the music and entertainment industry. We are an organization that harnesses the socialising needs of music fans around the world.Media Clicks specialise in the music and entertainment industries, using the strengths of our various market leading brands to achieve a whole which is much greater than the sum of its separate parts.Media Clicks Group works with its advertisers and clients alike to provide a unique service across the Media Clicks Group brands. FuturePrime FuturePrime people are permission email marketing specialists.FuturePrime build, execute and improve your online customers acquisition and retention strategy, trough email marketing. FuturePrimecan do it using their individual and different services or FuturePrime can do consulting a help you build you in-house solution. FuturePrime work always with one purpose in mind: to multiply the return of customer’s investment.